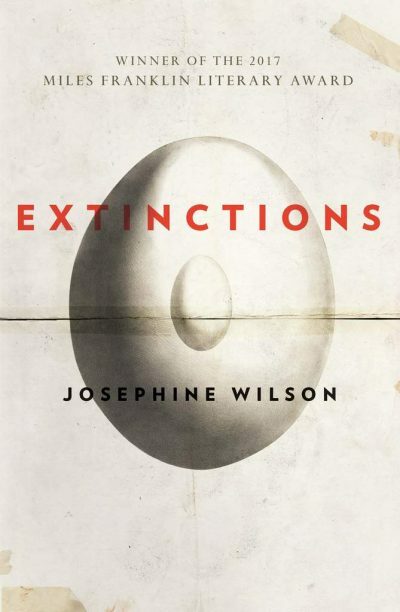 Josephine Wilson has won the 2017 Miles Franklin Literary Award for her novel Extinctions (UWA Publishing). Wilson was named as the winner at an event at the State Library of NSW on 7 September. She was chosen from a shortlist of five that also included: An Isolated Incident (Emily Maguire, Picador), The Last Days of Ava Langdon (Mark O’Flynn, UQP), Their Brilliant Careers (Ryan O’Neill, Black Inc.) and Waiting (Philip Salom, Puncher & Wattmann). The longlist was announced in May. The judging panel also included Murray Waldren, Lindy Jones, Melinda Harvey and Susan Sheridan. Wilson receives $60,000 in prize money. The shortlisted authors also received $5000 each from the Copyright Agency’s Cultural Fund in June. UWA Publishing director Terri-ann White told Books+Publishing it is ‘so clear in the lead up how important the Miles Franklin Award is in both Australia and elsewhere’. White said UWAP has ordered a print run of 11,000 winner-branded copies of Extinctions. As previously reported by Books+Publishing, in 2016 Wilson’s manuscript of Extinctions won UWA Publishing’s inaugural Dorothy Hewett award.